The year is 1972 and Suzy Whitman, a young Vassar graduate, has followed her glamorous older sister to the Southern California beach town of Sela del Mar where the two work as air stewardess and Suzy gets caught up in the worlds of drug smuggling and skyjacking. Riley skillfully fuels Suzy’s desire for self-determination with the indignities heaped upon her and her fellow stews — weigh-ins, height requirements, makeup checks ... There’s a familiar bicoastal rivalry in these pages. Held against New York, Riley’s California is 'a dumb pretty,' 'a physical space with its back turned on the news,' balmy and happening but also a provincial, apolitical la-la land...While the regional binary feels familiar, Riley has a stylish grasp of setting as the axis of place and time, writing about the era with captivating authority, palpable texture and a sure-footed knack for rebuilding a moment out of its pop detritus. Enthusiasts of ’70s music and literature will tumble into delightful pockets of nostalgia ... Ultimately, Riley’s vividly realized setting and Suzy’s firecracker spirit collide in a surprising whiplash climax. What do we do when we run out of continent? Fly Me hazards an answer to Joan Didion’s predicament: We take to the skies. [Riley] perfectly captures not only the pleasures of California living, but also, more specifically, the rapturous initiation by which those from harsher climes give themselves over to the Golden State (even if sometimes self-consciously). Indeed, he carefully, credibly evokes the subtle distinction between the two approaches to California dreaming: the way of those who were born to it, and the way of those who are called to it ... Riley manages to avoid any embarrassingly tired truisms, and to see his locale through fresh eyes. Indeed, the landscape becomes one of the central — and most compelling — characters in the book ... the novel is a vibrant, pitch-perfect rendering of decadent beachside youth culture, with its surfing, drugs, rock ’n’ roll, and all-day parties ... Riley is fond of metaphors, and while they’re almost always spot on, the sheer profusion can become fatiguing, pulling attention away from the story. 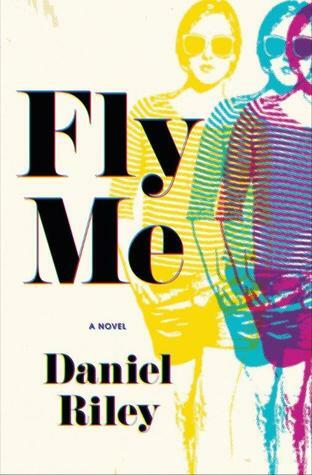 One of this summer's freshest novels, Fly Me by Daniel Riley, offers a powerful glimpse into this 'California Girl' archetype ... Fly Me proves that the true 'California Girl' embraces the sadness and chaos of experience, grabbing her narrative back from all those who've tried to write her story ... Suzy Whitman, like Cher and Elle before her, is a classic 'California Girl.' She explores, she subverts, and, despite her tireless chorus of critics, she always finds a way back to herself. 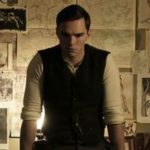 What did you think of Fly Me?